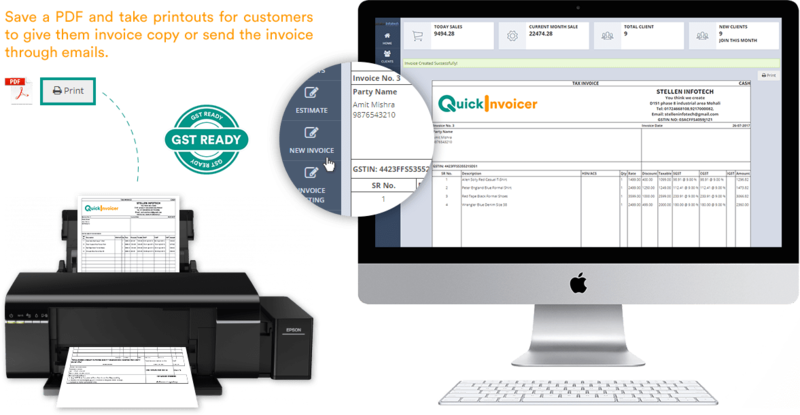 QuickInvoicer Invoice Management system allows the business organize their expenses, control their cash flow and make their business look very good. Some of the features of this incredible software are one-click reporting, paperless receipt tracking and Automate the spending. A GST enabled software that will keep your calculations exactly as they needed to be. 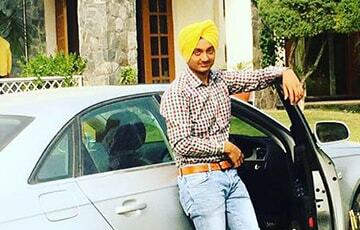 Perfectly GST enabled. 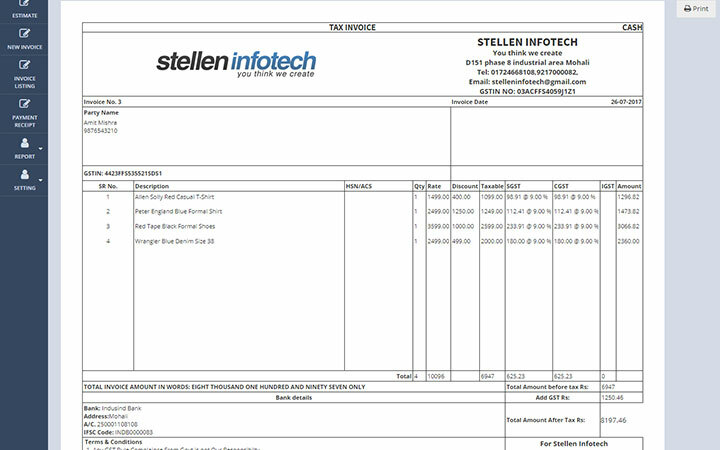 Easy to create customized invoices that suit the nature of your business. 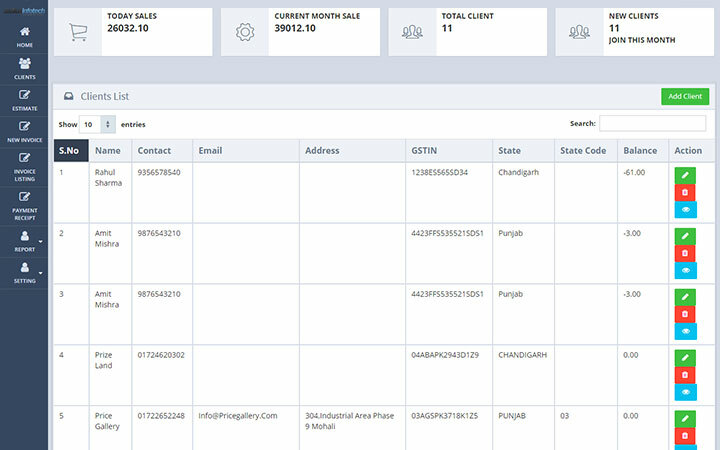 QuickInvoicer brings you online Invoicing which will save a lot of time to do something potentially productive for your business. Get a customized notification whenever the overdue date arrives either as push notification or on your email. A powerful search option to search any of the previous records you want to access. 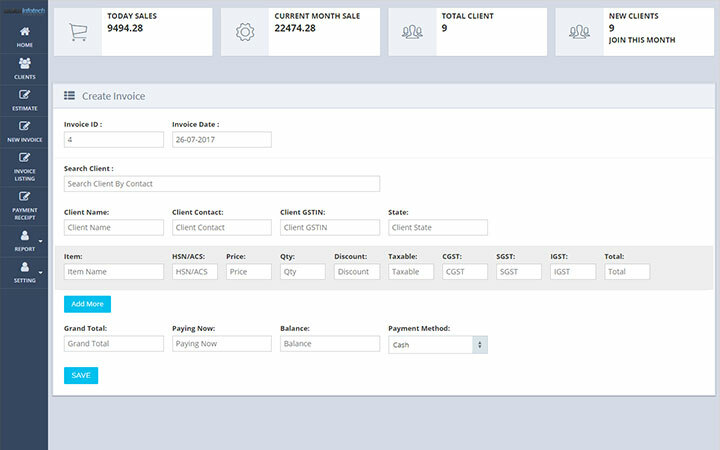 We want you to get familiar with the interface of our powerful Invoice Management System. Easily generate professional invoices, quotes, and statements. 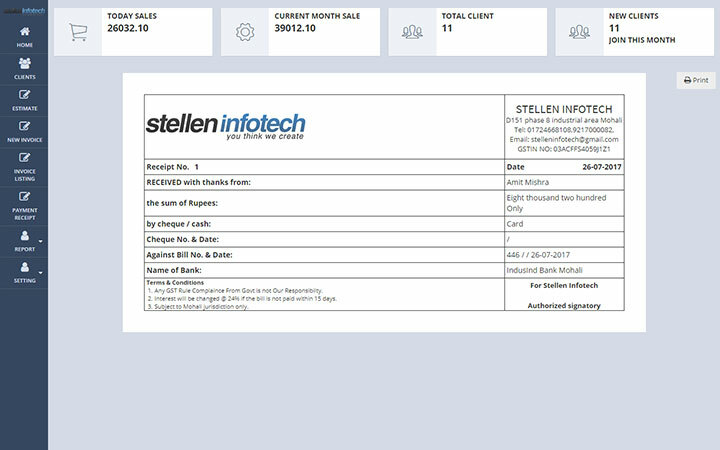 Use QuickInvoicer & create a Proforma invoice for the purchased goods/services. 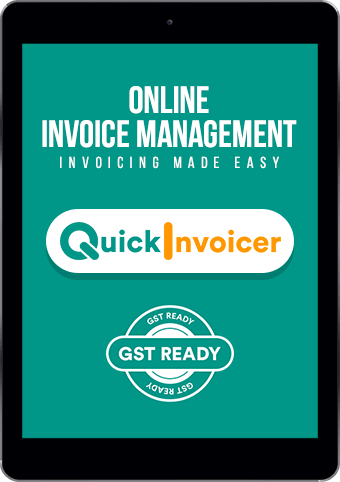 QuickInvoicer acts as a custom quotation and estimating software for invoicing, work reports, accounting, etc..
Use QuickInvoicer and meet all your GST compliance need easily. Our CRM software has all features that allow you to easily handle the money flow in and out of your business. Use QuickInvoicer to organize and track the inventory for your organization. Deliver automated Payment Reminders to customers through Emails or SMS within a single click. 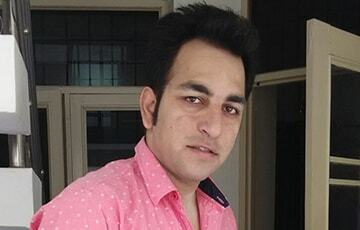 "One amazing feature that I like of the QuickInvoicer are the customized notifications. 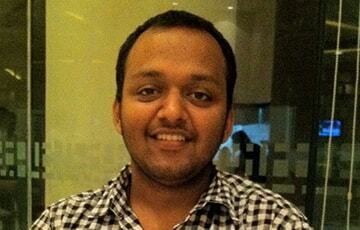 "One amazing feature that I like of the QuickInvoicer are the customized notifications. This has allowed me to keep a track on the overdue dates. "There are very few invoice management softwares out there that allow you to make your own customized invoices related to your business. Kudos to the team behind QuickInvoicer!!! Want to see more features? We'd love to give you a tour. 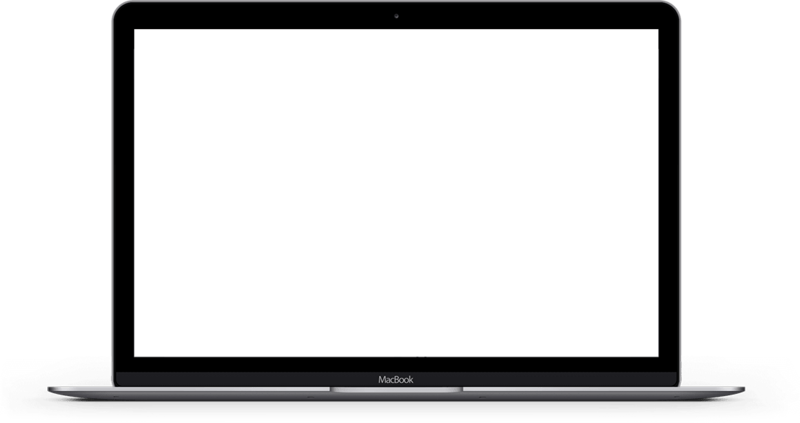 Back to login page ?